11 Night S. Caribbean Cruise on the Vision of the Seas from $749! Royal Caribbean Cruises from $119! Book Today & Receive up to $250 On Board Credit! 7 Night W. Caribbean Cruise on the Navigator of the Seas from $389! 7 Night Bahamas Cruise on the Explorer of the Seas from $579! 7 Night E. Caribbean Cruise on the Oasis of the Seas from $749! 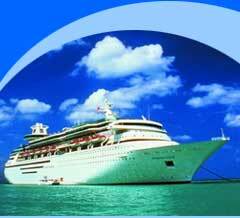 4 Night Bahamas Cruise on the Monarch of the Seas from $139! 5 Night W. Caribbean Cruise on the Liberty of the Seas from $349! Popular Cruise LinesChoose a line to learn more. Up to $400 OBC & More! Up to $100 OBC & More! Up to $1,000 OBC & More!